At HUM we always say get it in your diet first, then supplement where you need support. 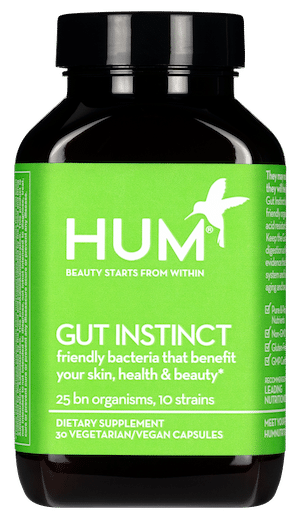 By now you’ve probably heard that probiotics are essential to gut health, which can translate to a stronger immune system and even clearer skin. The trouble is, with probiotics being such a hot selling point, there’s some misleading information out there. 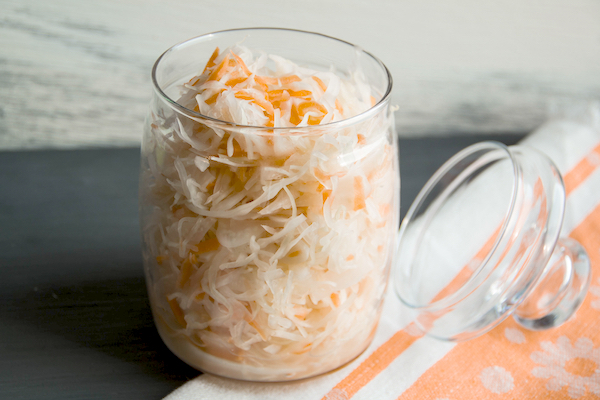 To get to the bottom of things, we’re presenting a nutritionist-approved list of the best probiotic foods. This list considers both the variety of bacteria strains and their potency. Sauerkraut: One of the oldest forms of fermenting. Not only does sauerkraut contain probiotics, but it also has fiber, iron, antioxidants, and vitamins C, B, and K. For optimal probiotic strength, look for an unpasteurized sauerkraut with no added sugar. Kimchi: Usually made from cabbage and other veggies, it contains a variety of probiotic strains. It’s also high in fiber, iron, and vitamins K and B2. Again, be sure to get yours with no added sugar. Pickles: Low in calories and a great snack. But watch out! The majority of store-bought pickles are made with vinegar and do not contain probiotics. Pickles made in a brine of salt and water, however, a great source of probiotics! They also contain fiber and vitamin K. As with the options above, opt for brands with no added sugar! Kefir: Unfamiliar with the stuff? It’s a fermented beverage that’s similar to yogurt in taste but has a thinner consistency. Perfect for incorporating into smoothies. 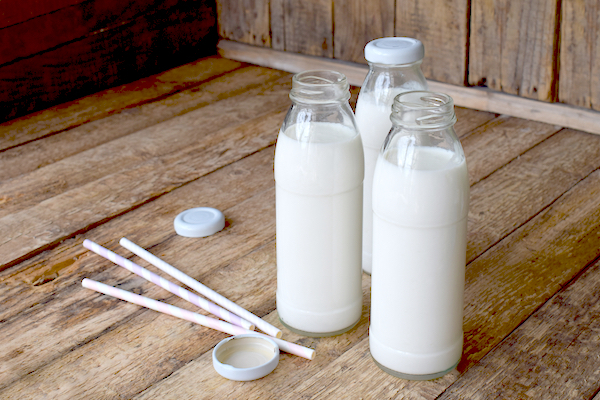 Kefir actually contains a greater variety of probiotics than its thicker counterpart. Yogurt: Contains lactobacillus and can help breakdown lactose into lactic acid, which aids in digestion. Make sure you find yogurts with live active cultures since processing kills many probiotics. It can also contain a lot of added sugar so, as always, look for options with no added sugar. Buttermilk: There are two kinds: traditional and cultured. Both contain probiotics as well as vitamin B12 and calcium. Raw Cheese: This one has a good source of probiotics, but you have to make sure you get raw cheese that was made from high-quality milk and from a vendor you trust. 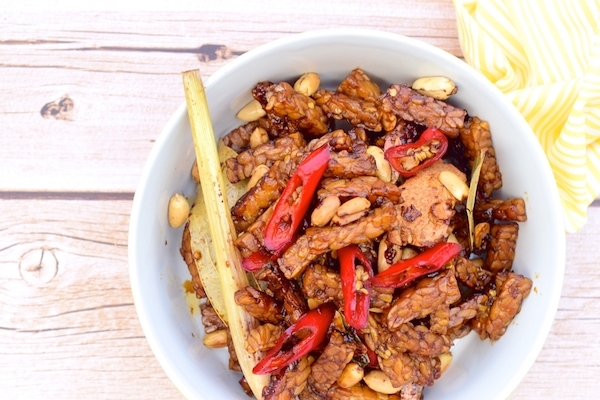 Tempeh: Fermented soy. The fermentation process increases your body’s ability to absorb certain minerals and produces B12. It’s good for vegetarians and vegans, but be careful about quality of soy and how much you are eating. Too much soy can have a negative impact on health. Natto: This fermented soy is typically eaten for breakfast in Japan. It’s high in protein, vitamin K2 and mostly contains the bacillus subtilis strain. Kombucha: You’ll get a variety of probiotics, but it’s still best to drink it in moderation. Most commercial kombucha has a lot of added sugar and the carbonation can cause additional bloating. 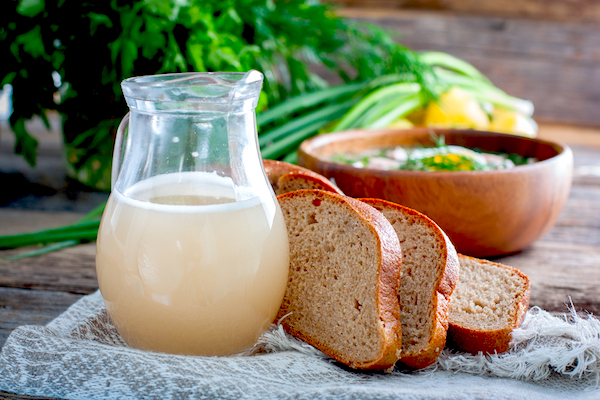 Kvass: This Eastern-European drink is similar to kombucha, but it’s fermented from rye bread. It contains B12 but, like kombucha, the carbonation may cause digestive upset. Cottage Cheese: While cottage cheese is a great source of protein and technically a fermented product, most are pasteurized and don’t contain probiotics. To get probiotic benefits, you’ll have to hunt to find a brand that has live active cultures. Miso: Although made from fermented soybeans and higher in protein, heating kills most probiotics. Also, miso is often high in sodium and in some cases MSG. With that said, if you can find authentic miso, there are many associated health benefits. Sourdough: Another one that starts with some processing fermentation, but ultimately kills the majority of good bacteria in the heated baking process. In our hunt for a complete list of probiotic foods, a few came up that ultimately weren’t really probiotics at all. Consider this list proof that you can’t trust everything on Google. 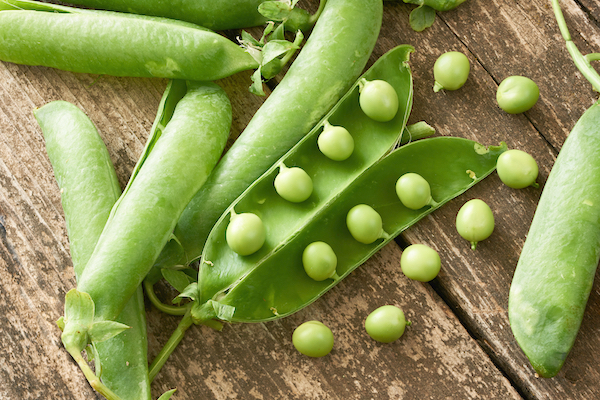 Peas: While scientists were able to isolate a compound that is beneficial to digestion and gut health in peas, the verdict is still wary on whether you can get adequate amounts from eating the vegetable on its own. Dark Chocolate: We know! Bummer. So close, but not quite. To make chocolate, cacao is fermented which would lead to beneficial probiotic bacteria, if only the chocolate weren’t then heated later in processing. Some manufacturers are now adding probiotics back in, but it’s certainly not a given for your standard dark-chocolate bar. 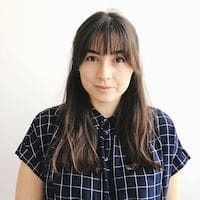 Apple Cider Vinegar: As we mentioned in a previous post, apple cider vinegar is a potent natural ingredient for boosting gut health, but it’s not technically a probiotic.